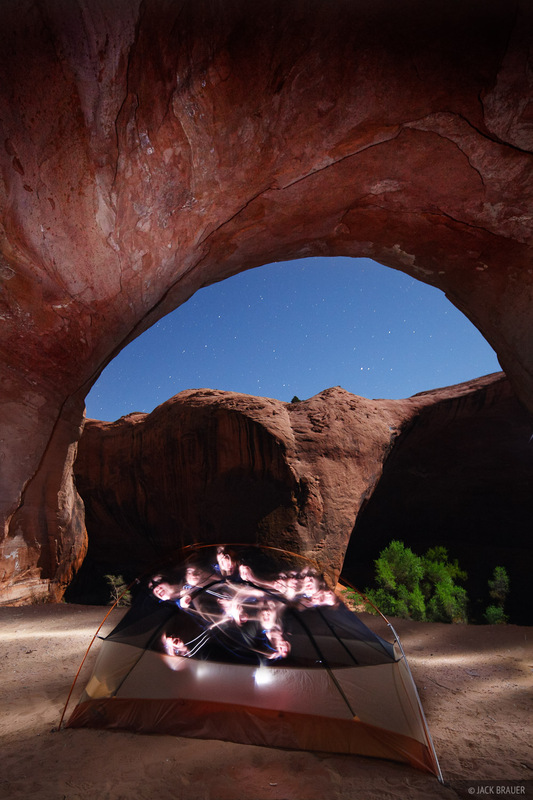 In early April, we headed to Grand Staircase Escalante National Monument in southern Utah for another backpacking trip into one of my favorite canyons of all – Coyote Gulch. It’s been about 12 years or so since I’ve been here, but I still remembered how awesome it was. View into the sandstone mazes near the Chimney Rock trailhead. 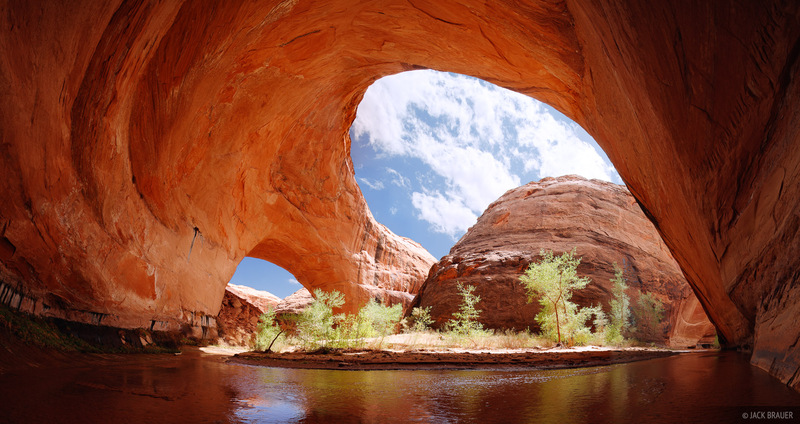 One of the main highlights of this canyon is the massive and impressive Jacob Hamblin Arch, which is an arch on one end of an enormous sandstone overhang. Since this canyon is well known and well traveled, we were fortunate to be able to camp by ourselves on that beach right below the arch! 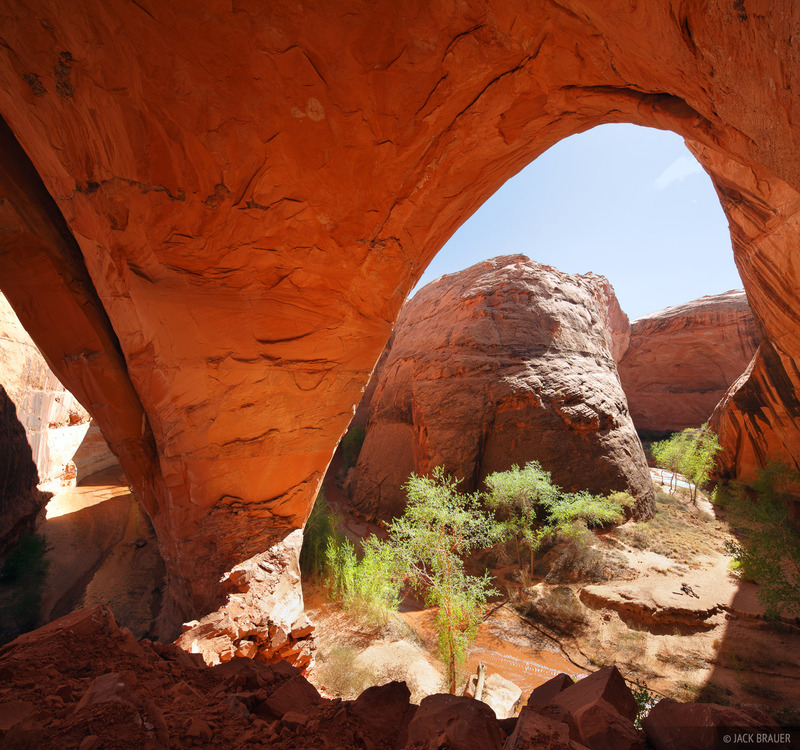 Wideangle view under the Jacob Hamblin Arch in Coyote Gulch. 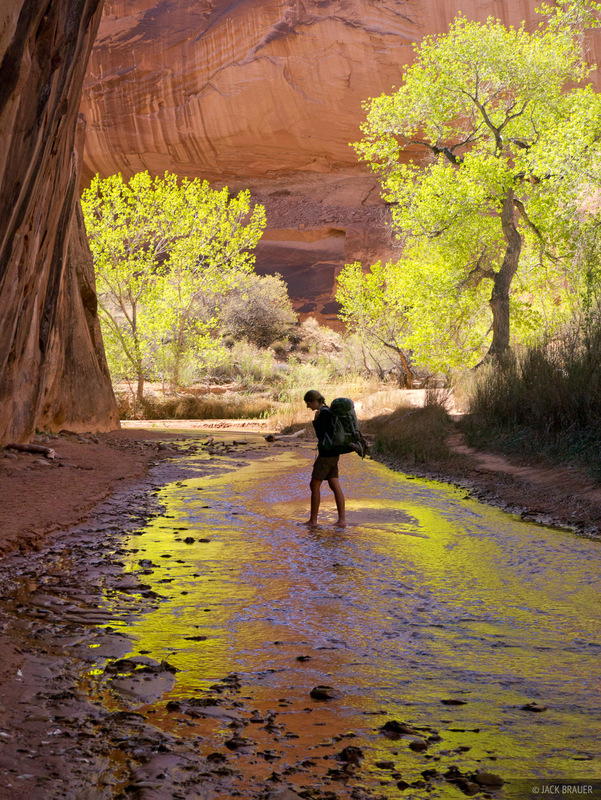 The other highlight of backpacking in Coyote Gulch is that a spring-fed creek runs down through the entire canyon. 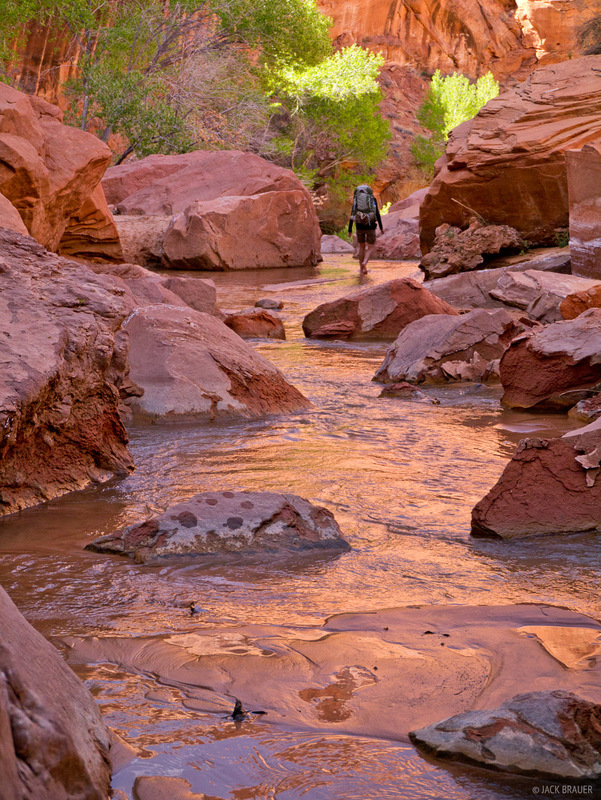 This means that it’s possible to hike barefoot the whole way directly in the center of the ankle-deep water of the soft, sandy creek bed! That is some serious hiking luxury! Since the creek was quite chilly in the mornings, we’d wait until noon or so to start hiking, when the water had warmed up. 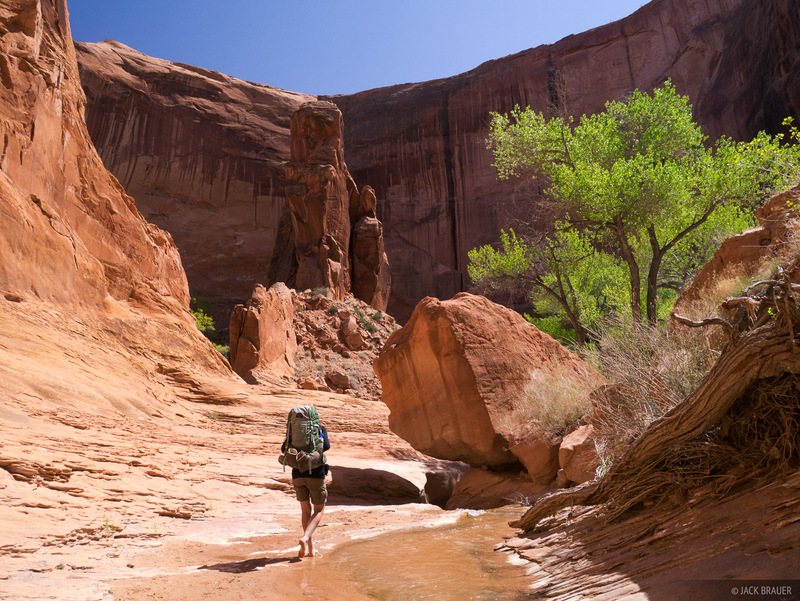 Barefoot hiking in Coyote Gulch. The trees along the creek were brilliant green with their freshly-budded springtime leaves. 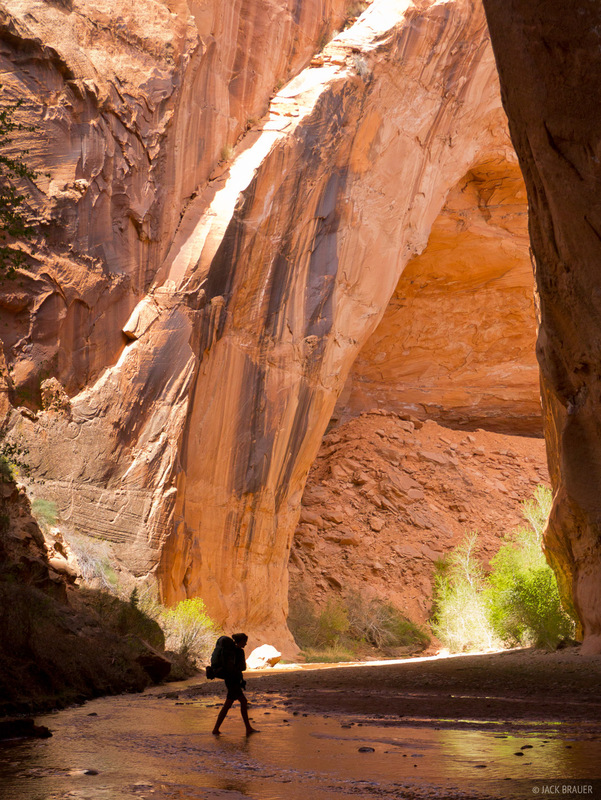 A natural alcove in the sandstone cliffs above Coyote Gulch. For the second night we scrambled up out of the canyon a little bit to a higher bluff that offered an incredible view of the rugged canyon ridges all around, along with a large angle of sky above, for a change. Hiking through Sleepy Hollow canyon. 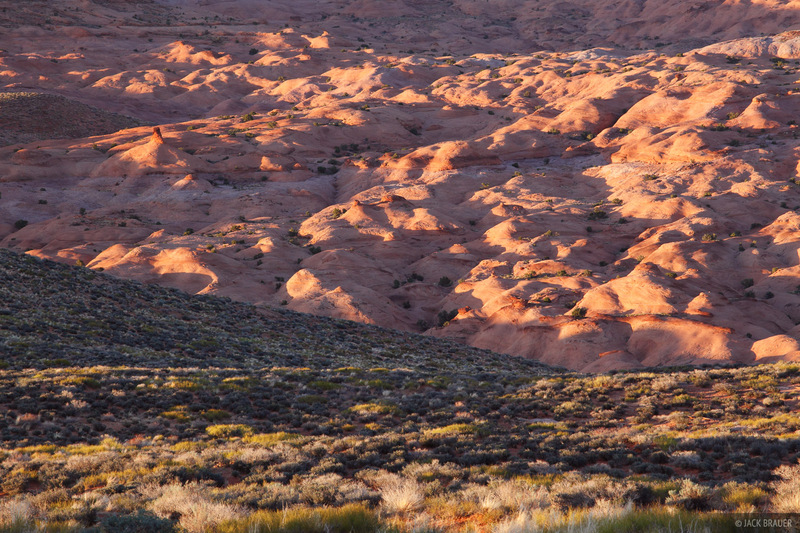 For our third day and night out there, we backtracked back up Coyote Gulch and explored Sleepy Hollow, a much less-visited tributary canyon of Coyote Gulch. This involved a bit of frustrating bushwhacking, but eventually we found some of the hugest overhanging alcoves I’ve ever seen before. Tent nightmares in a huge overhanging alcove in Sleepy Hollow Canyon. 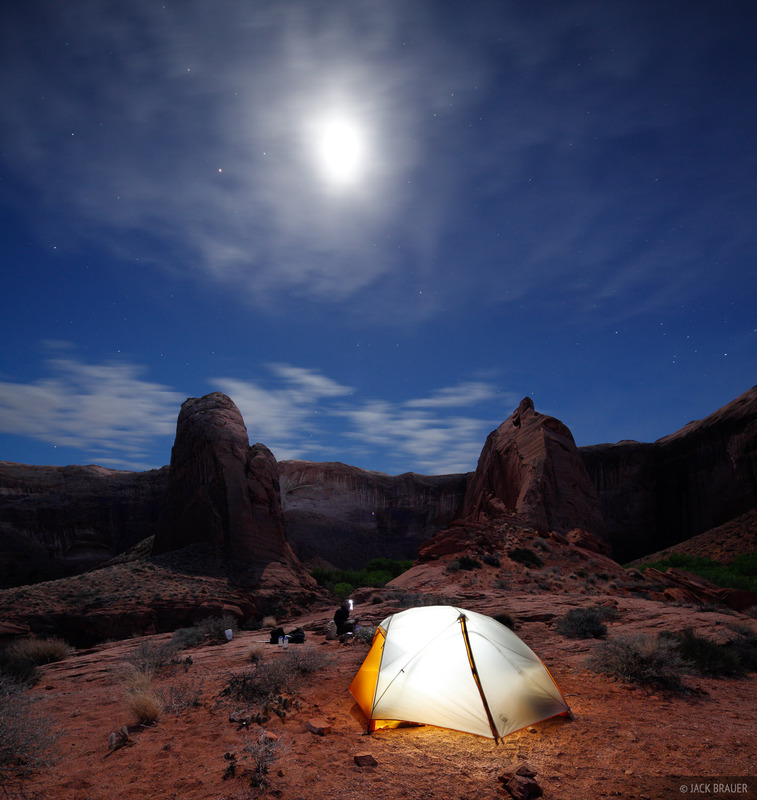 We ended up camping on a high sandy bench in the biggest alcove of all – a spectacular but eerie campsite! Dirty and exhausted after a week of backpacking trips, we headed back to the town of Escalante for the obligatory beer and calzones at Escalante Outfitters, then made the long drive back home to Ouray. Finally my outdoor-satisfaction-reserves are full again, at least for time being! 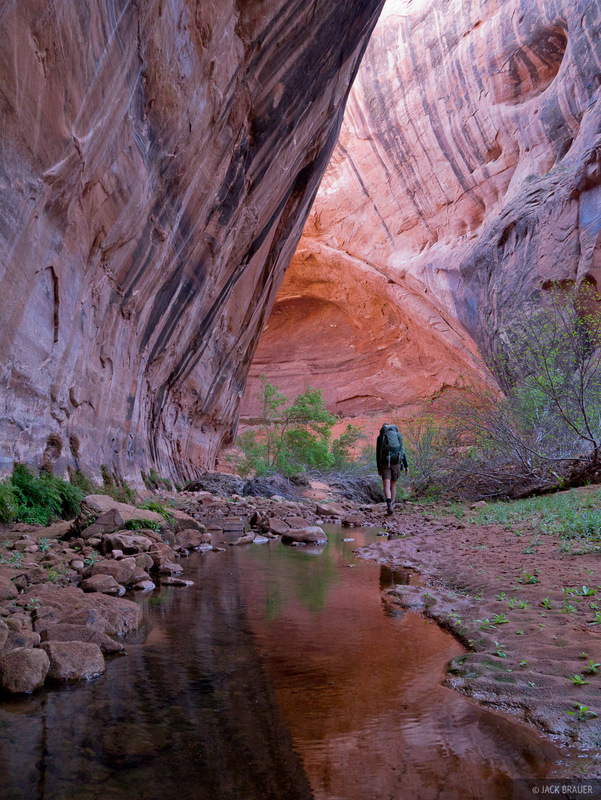 Posted in Backpacking & Trekking, Canyons & Deserts and tagged Utah, Escalante.